In March 2016, the US Fish and Wildlife Service (USFWS) proposed delisting the grizzly bear in the Greater Yellowstone Ecosystem in portions of Wyoming, Montana, and Idaho. As mandated by the Endangered Species Act (ESA), the Service opened a 60-day public comment period. They received a deluged of responses—63,000 in all—many scathingly opposing delisting the great bear. 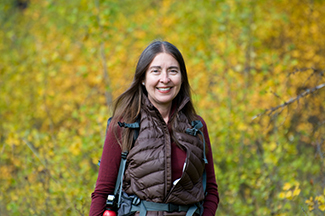 Learn more about carnivore conservation by reading The Carnivore Way: Coexisting with and Conserving North America’s Predators, and The Wolf’s Tooth: Keystone Predators, Trophic Cascades, and Biodiversity by BEI Emeritus Fellow Dr. Cristina Eisenberg. Learn more about large carnivore ecology by joining Cristina afield on her Earthwatch field research expedition, Tracking Fire and Wolves through the Canadian Rockies.